Expert duct cleaning in Winnetka, IL performed by the trained professionals at ServiceMaster DAK can help reduce or eliminate air dust and contaminants from your forced air system. Beware of “blow-and-go” air duct cleaning companies. Blow and go companies often charge a small amount and do a poor job of cleaning the heating and cooling system. Air duct cleaning that is not properly performed will make the dust and air quality in your home worse. An average air duct cleaning job will take 4-6 hours if done properly. A reputable air duct cleaning service typically – but not always – should range in cost from $450 to $1000 per system, depending on the services offered, the size of the system to be cleaned, system accessibility, level of contamination and type of duct material. Let the caring professionals at ServiceMaster of the North Shore, Winnetka help you improve your indoor environment. Work on one opening at a time, closing all others so there is little “blow by” dust in the cleaning process. Take care to protect the duct work, including sealing and re-insulating any access holes we make in the return area in order to clean the most soiled area of your system thoroughly. 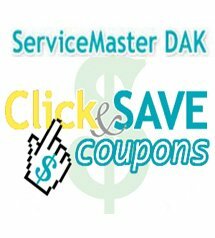 We’ll take the time to do it right, no “blow and go process” from ServiceMaster DAK. 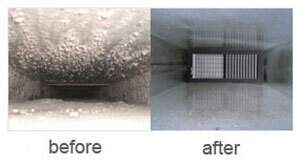 ServiceMaster DAK is the air duct cleaning company servicing Winnetka, IL 60045 Chicago Northshore area. ServiceMaster DAK cares about your indoor environment. According to the Environmental Protection Agency (EPA), the average home accumulates about 40 pounds of dust per year. Serving Northbrook IL 60062, Wilmette IL 60091, Glenview IL 60025, Highland Park IL 60035, Lake Forest IL 60045, Winnetka IL 60093, Buffalo Grove IL 60089 and surrounding areas.